Bagan is perhaps Myanmar’s No 1 tourist destination and as one of the world’s greatest archeological sites is often compared with Machu Picchu or Angkor Wat. Set on a plain in the bend of the Irrawaddy River, it plays host to hundreds of temples the silhouettes of which rise above the palm and tamarind trees. The temples were built by the kings of Bagan between 1057 and 1287 an intense phase of construction that was ended by earthquakes and Kublai Khan and his invading Mongols. Some 2,230 of an original 4,450 temples survive, a legacy of the Buddhist belief that to build a temple was to earn merit. We spent three nights in Bagan in a hotel where the rooms were nice, but the breakfasts, in sharp contrast to those on the rest of the trip, were dreadful. There are good places to eat in Bagan but not so good near the hotel where the restaurants had long menus providing poor quality food from every cuisine. 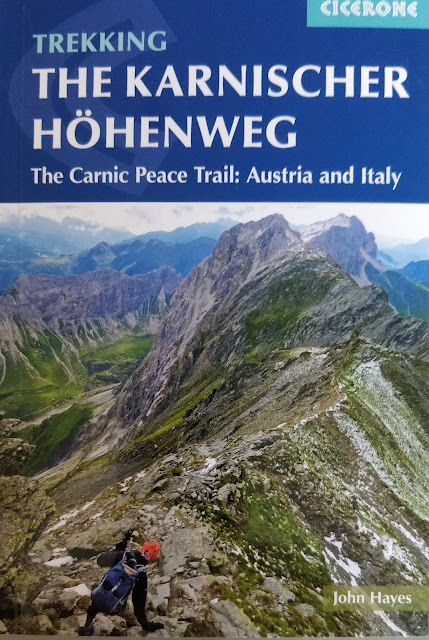 Given the generally high quality of food and accommodation experienced on the rest of the trip it was a bit a disappointment contributed to a feeling that the trip was fizzling out rather than finishing on a high note. On the first day we toured the town itself and visited the largest and most impressive temples. It’s difficult to compare what is being seen with anything in the west. These aren’t buildings like a church designed to accommodate people, but gigantic monuments, huge piles of bricks, built at a breakneck speed presumably with an enormous workforce. Although the individual monuments are substantial in their own right its the cumulative effect on the landscape as a whole which makes Bagan really interesting, particularly when you consider than only half the original total survive. The obligatory climb to the top of a temple to watch a sunset with hundreds of others, was unfortunately spoiled by clouds, but on a perfect evening the view, with all those silhouettes, must be impressive. 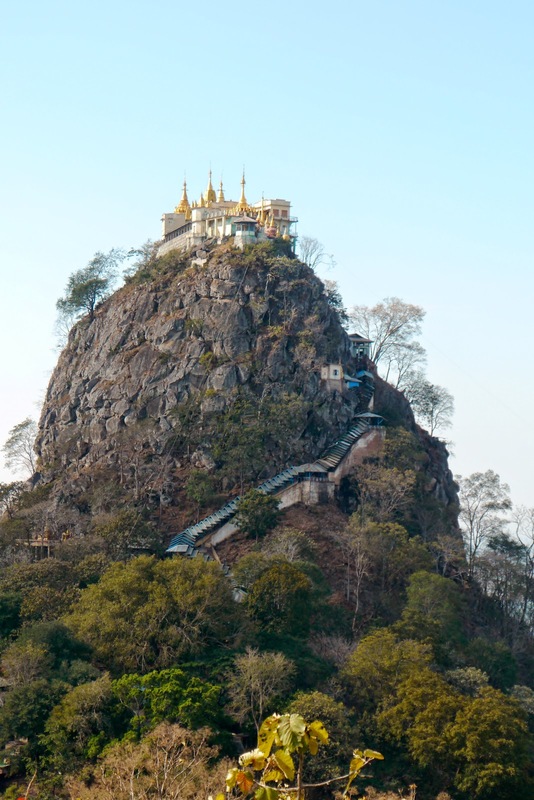 The next day we went to Mt Popa and climbed up to the Taungkalat Monastery. The monastery reminded me of Bavarian castles, the sort of fairy tale effect sought by dreamt up by Ludwig II in the mid-19th Century. 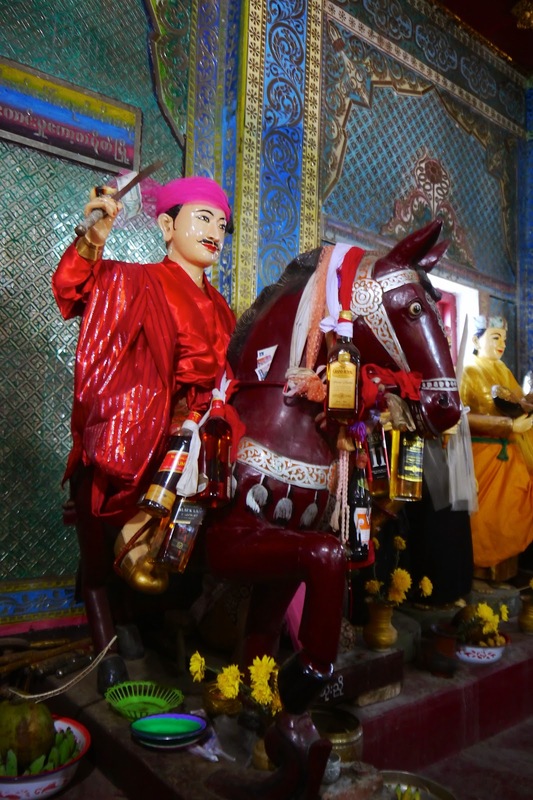 Also interesting was the shrine to the Nat Spirits, 37 of which are worshipped by locals (co-existing with Buddhism) around the Mt Popa area. Along with everyone else I particularly appreciated the offerings of alcohol and liquor to the Nat Spirit Min Kyawzwa who was supposed to have died an alcoholic. The 50 km ride back to Bagan, generally downhill, and the last big ride on the trip was excellent. I’m not sure what the locals thought of what in this country would be ancient old men trying to outdo each other, but I found it reassuring to find that my competitive spirit hadn’t entirely disappeared. On the morning of the last day in Bagan we visited another temple and insisted on extending the journey just enough to ensure that we exceeded 400kms for the whole trip. The schedule includes a day in Rangoon before returning home the following day. 'Let sleeping dogs lie' is a very sensible saying, but one Christine unfortunately forgot. In Rangoon she stepped on a sleeping dog (she was gazing up at the buildings) which rapidly woke up, moved and tripping Christine who hit the ground painfully. Back in Brighton an x-ray happily confirmed that her foot was not broken, but it remained sore for some weeks. Very nice and interesting trip to Burma and thanks for sharing your experiences with us. Regards.